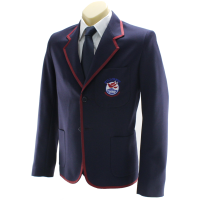 A well-made blazer is a statement piece in a school's formal uniform. 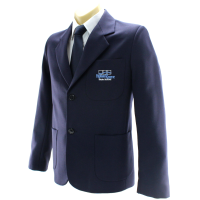 Our blazers are made-to-order for individual school clients. These top-quality products are well-designed, perfectly tailored and beautifully finished. A good blazer should be warm in winter, cool in summer and comfortable and mobile all year around. We produce blazers in polyester/viscose gabardine, polyester/viscose twill, wool blends and stretch wool blends. 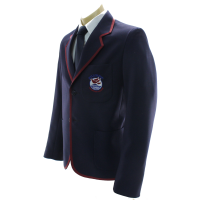 We trim our blazers in custom braid (usually around the cuffs, pockets and lapels) and resent the school emblem in prominent pocket embroidery. The drape and fit of the fabric and the quality of the workmanship mean our blazers are a cut above. It would be our pleasure to discuss school blazers with you and to share some of our experience and insights on designs and finishes.